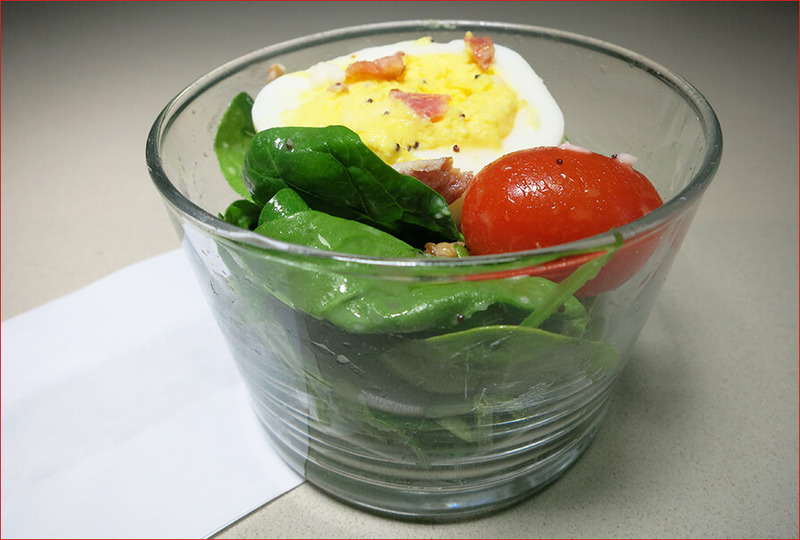 Spinach, Hard Boiled Egg, Tomatoes, Bacon (Fully Cooked Natural Bacon Pieces, Cured with: Water, Sea Salt, Cane Sugar, Natural Flavors), Mozzarella Cheese (Pasteurized Part-Skim Milk, Cheese Cultures, Salt, Enzymes). 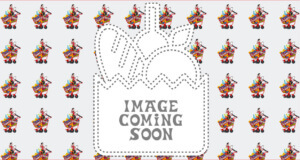 Tapioca Glucose, White Balsamic Vinegar [Contains Naturally Occurring Sulfites], Canola/Olive Oil Blend, Granulated Sugar, Honey, Poppy Seeds, Salt, Mustard Powder, Xanthan Gum). We’ve been working our way through the pre-made salad offering at our local Trader Joe’s, and while not every one has been a winner, we’re growing more and more impressed with their repertoire. Mind you, these salads aren’t just a few greens thrown lazily together – we’re talking about a carefully curated collection of ingredients that would put some dine in restaurants to shame. And you can’t beat the price! $4 to $5 for a salad that could easily feed 2 people? Don’t tell TJ’s, but we’ve seen people pay triple that for an equivalent salad. 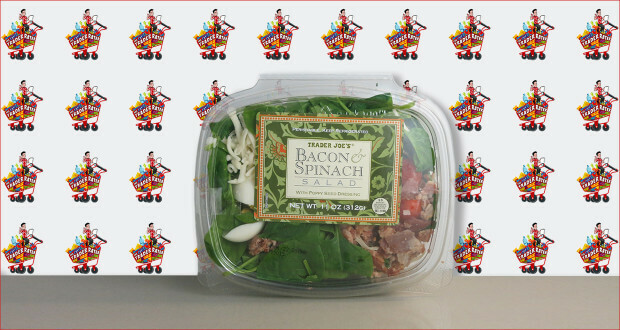 This particular Bacon & Spinach Salad was by far our favorite so far – it really was delicious from start to finish. The poppy seed dressing was sweet and creamy, and the addition of bacon to liven up the spinach was a true treat. Even the hard boiled egg was a welcome surprise, and it made the salad legitimately filling and well balanced. As for nutrition stats, this salad did tip the scales a bit, but there are tradeoffs for prime deliciousness. Worth noting, we were pleased that TJ’s didn’t sneak in any onions, scallions or similarly pungent flavors like we’ve seen in some other salads. Thankfully, this salad won’t linger for the rest of the day, which makes it the perfect tag along for school or the office. We’re definitely impressed with this salad, and it’s definitely on our “Scan It” list! Summary : While it isn't the most nutritious salad option, we thoroughly enjoyed this salad. It was tasty, filling, and well-priced!